It’s inevitable that with daily crowd counts of over 20 million visitors at Disneyland and over 50 million at Walt Disney World, that you are bound to spend some time in a long queue waiting for a seat on your favorite attraction. While it’s draining to spend 60 minutes or more in line, there are ways to make the time more enjoyable and even more productive. While you can always make friendly conversation with other park goers around you, it’s not always a guarantee that you’ll find good company. Instead, bring the company with you! Traveling with friends makes the time spent in long queues more enjoyable with friendly conversation and a willing party to all your Disney shenanigans. There’s nothing worse than holding your bladder while holding your place in line. Make sure you, and your party, are relieved prior to entering that extra, long queue. There are over 1,000 documented hidden Mickeys deliberately incorporated across Walt Disney Parks and Resorts and they are most commonly found in attractions, stores and other décor – including ride queues. While you are waiting see how many hidden Mickeys you can find or document, join an online community and post your photos, or set a prize within your party for who can find the most hidden Mickeys during your trip. Take advantage of a long queue by making advance dining reservations (ADRs), using mobile ordering for a venue nearby, or check the menu on any upcoming reservations or venues you might have interest in. It passes the time, helps you save time at the restaurant trying to figure out what to order, and helps review any allergy-friendly options ahead of time. Whether it is a mobile device or a handheld gaming system, this is an excellent way to pass the time while waiting in a long time. There are a variety of apps you can play alone or with your group that can be downloaded before entering the park. Additionally, playing games that link to other players (in the group or out of the group) is always a fun way to pass the time. Need a little extra energy? Take advantage of your time in line to snack on something. A piece of fresh fruit, the last of that Dole whip, or maybe a little trail mix will help tide you over between meals. Grab something before hopping in line and use the time to eat it. Just don’t litter! There are plenty of trash cans placed in the queue for your convenience. Using the time in line to catch up on social media, post silly photos or upload your favorite images to Instagram is an excellent way to pass the time. Okay, sounds cheesy, and maybe it is – but you are in the happiest place on earth and you might as well take full advantage of every second spent in line to maximize the fun. You can play I Spy, thumb wars or even good old trivia. 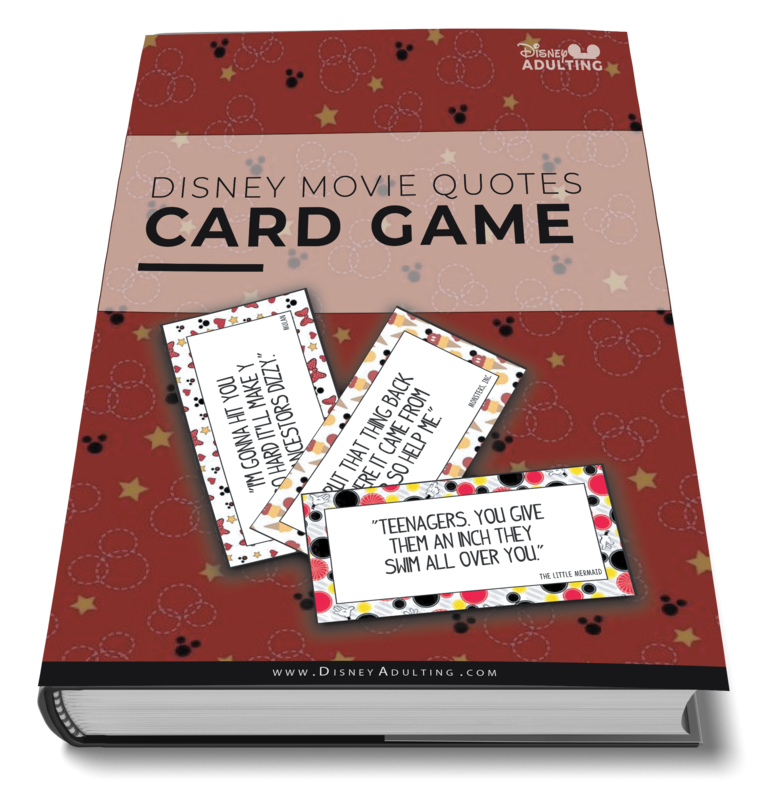 There’s plenty of ways to pass the time in line and have some good old-fashioned fun. Catch up on your favorite TV show or Disney film, or listen to music to pass the time. Just don’t be “that guy” who so rudely annoys everyone without headphones. Remember to keep your sound politely to yourself. What do you do to pass the time in a long line? Number nine might be my favorite. There is nothing like the classics. Plus, I like the idea of playing games that will keep my son thinking creatively rather than looking at a screen for an hour.